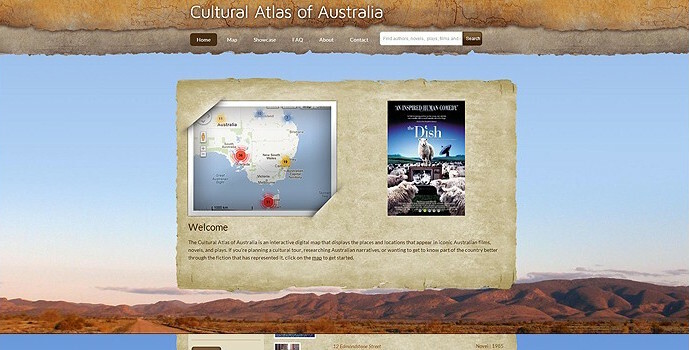 In 2012 Ortelia was commissioned by the Film and Media Studies group from the School of English, Media Studies and Art History (Faculty of Humanities and Social Sciences) at the University of Queensland to develop the Cultural Atlas of Australia interactive website. 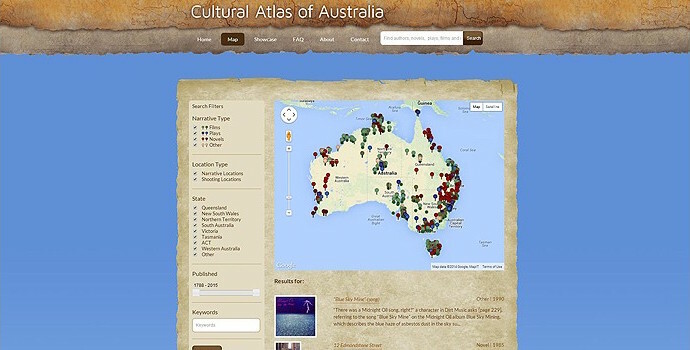 The Cultural Atlas of Australia is an interactive digital map designed to meet the needs of anyone interested in tracing the ways in which Australian places and spaces have been represented in fictional texts. The foundation of the project is a representative sample of 150 prominent, contemporary feature films, novels and plays set in the Australian landscape. The map serves students, scholars, and travelers with an interest in Australian geography and culture. 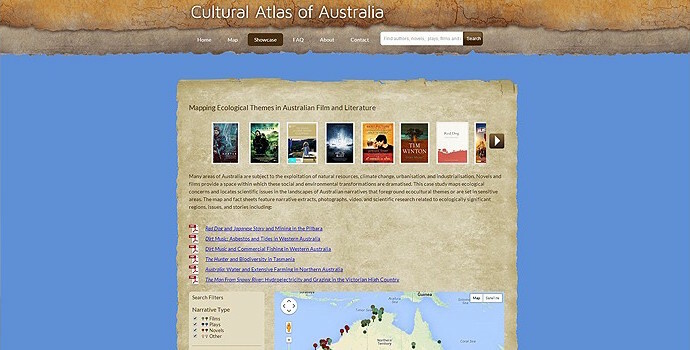 Potential uses of the map include, for example, plotting a literary tour, visiting film sites, or researching landscape and location in Australian stories. 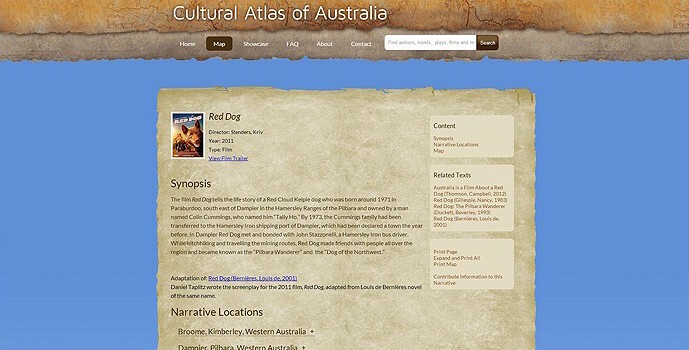 The Cultural Atlas can be searched by narrative setting and shooting location (for film), as well as medium, title, author, date, and key words. For further information about texts and locations, links are provided to resources such as AustLit, AusStage, IMDB, Australian Screen Online, and much more. The Cultural Atlas of Australia is funded by an ARC Discovery Grant (2011-2013) and housed at The University of Queensland. Development of the site included, site design, a customised database and user interface. Ortelia worked very closely with our clients to ensure that the outcomes required were achieved successfully.